Happy Birthday and Salute to KRS-1! Born Lawrence Parker in Brooklyn, New York, KRS-One ran away from home at age 13. Living on the streets, he would spend half of his days in public libraries researching philosophy, and the other half at homeless shelters practicing his love for rappin’. It was at the Franklin Armory Shelter where young Lawrence was given the nickname “Krishna”, for his interest in the Hare Krishna spirituality. With “Krishna” practicing graffiti writing as well, his name was stylized to become KRS-One. A social worker by the name of Scott Sterling, better known as DJ Scott La Rock, became a mentor KRS-One, and the two started the group Boogie Down Productions. Their debut album “Criminal Minded” in 1987 rocked the hip-hop scene, now considered as one of the greatest albums of all time. Influential in many ways, it also sparked some of the earliest hip-hop beef – with KRS taking shots at MC Shan and the Juice Crew with the songs “South Bronx” and “The Bridge is Over”. Scott La Rock was tragically shot shortly after the album release, and this was a big turning point for KRS. It motivated him to create the “Stop the Violence” movement, and keep a non-violent and socially conscious style for his music throughout his career. He continued recording under BDP with various artists, but broke into a solo career in 1993 with the album Return of the Boom Bap. KRS went on to cement his status as one of the greats throughout the 90s and 2000s. He published various books detailing hip-hop history and philosophy, and established the Temple of Hip Hop to preserve and promote the positive nature of the culture. 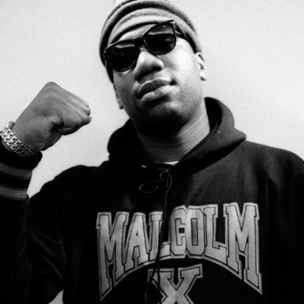 Today we salute and wish a happy birthday to one of the greatest of all time, KRS-One! Check out the music video for “MCs Act Like They Don’t’ Know” and bug-out in honor of KRS-One’s birthday.